You can be a startup, a small business, a corporation or an individual. It's our pleasure to build relationships with everyone. As an entrepreneur, you might have a design idea for your product which according to you is the best. But, we often forget that the product we have created is aimed at catering to our customers, or personas. Hence, we must design the product tailored to their likes and dislikes. You would want to design a UX/UI which your customers want to use and not because they need to use. If they are using your product only because there is nothing else like it in the market and it serves their requirement; then it is just a matter of time, till a competitor comes in with the same product but with better UX/UI and swooshes away your customers. On the other hand, if you have a product that the customer wants to use; then you can say that you have a successful product in your hands. Design a product so that your customer visits the app multiple times just to experience it. The more your customer uses your app the higher your daily user ratings go. It’s then only a matter of time, to get them hooked to your product and there, you have a loyal customer. How to ensure a design experience that customers love? The answer to this lies in the term personas. 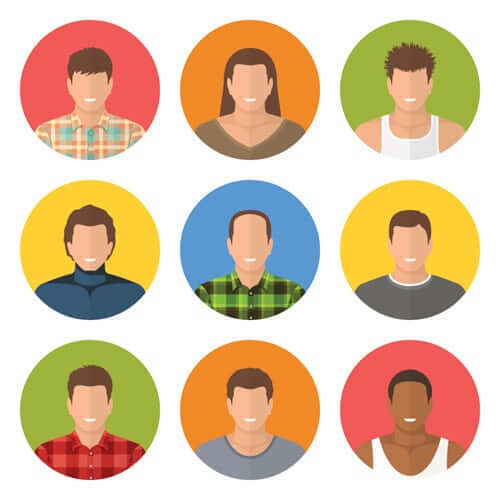 Personas are nothing but a more detailed view of the customer you are catering to. Personas are fictional characters who mirror your target audience in real life. How personas help in creating stellar UX/UI? When you are looking at your target audience in general while designing your product, you won’t be able to create bespoke UX/UI. However, if you break your target audience up, into individuals you get more clarity. Think of target audience like a macro approach, whereas personas are a micro approach. This helps you personalize your services and your marketing approach. You will not give a 65-year old the same experience as you are giving a 25-year old. You, now, look at each age groups’ motivation, buying behavior, and needs. This helps you create a UX/UI that suits their needs to a tee. What does a persona profile look like? You can also add personality type indicator by using the Myers-Briggs Type Indicator. You can choose from over 16 personalities to suit your persona, well. Bio: Here you build a short story about Terry using all the above points, thus making her more real than just a persona. This persona is going to help your UX/UI designers some up with an app or a minimum viable product that delights the customer. Because when you are designing for a persona, you are creating a more bespoke UX/UI experience for them. What Exactly is an Experience Map? How UX ensures customer loyalty? Can we help you crack a complicated conundrum? Our love for innovation design and technology is evident in all our works. No details is too small. Together, we'll make your business grow, manifold. ©Copyright 2019. All Right Reserved.